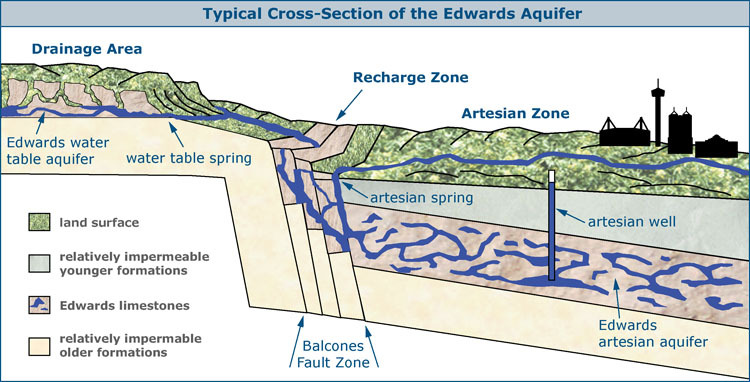 Pure Water Gazette » Should We Have an “Endangered Aquifer” List? Twenty percent of US water for drinking, crop irrigation and everything else comes from underground water. We seldom think of aquifers as being “endangered,” but that is actually the case, as we continue to overuse their water and pollute them with chemicals. The great Ogallala Aquifer, beneath the Great Plains, supplies 27% of the nation’s farmland with irrigation water. It has undergone decades of depletion through overpumping. The Central Valley aquifers of California are also being rapidly depleted to supply the nation’s fruit and vegetable demand. The mighty aquifers that supply New York and New Jersey are being drained and polluted. 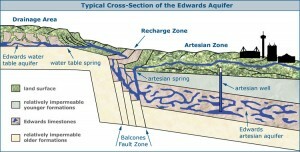 Full report on aquifers and an excellent video.